After Christmas, Easter is our second favourite holiday, and we always go all out at the Coop. This Easter we’ve listed all our Hen-credible weekend shenanigans for you and the family to enjoy. Yes that’s right, the deep fried crème egg returns from Wednesday 17th to Monday 22nd April. 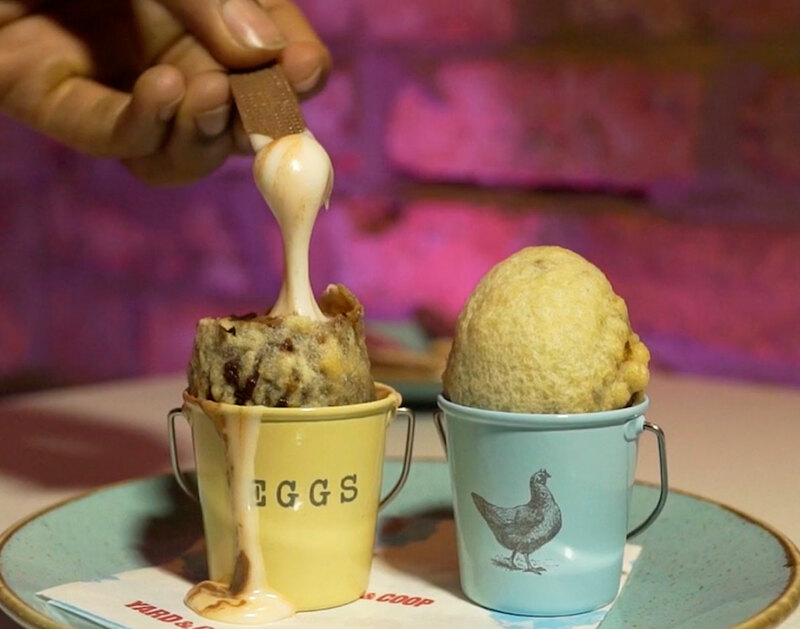 We obviously love deep frying things and a chocolate egg is no exception. Get your deep fried egg at any of our Coops this Easter as a perfect oozing fondant chocolate delight after your feast of chicken. The deep fried crème egg is £3, and likely to sell out fast! Our hottest new special, the hot cross bun burger is available all weekend for £14. 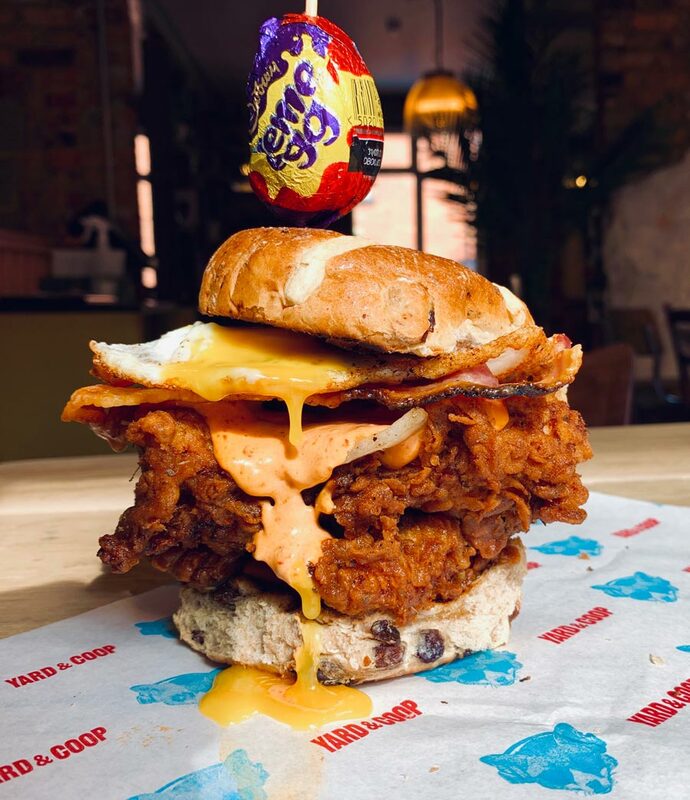 It features a hot cross bun stuffed with two buttermilk fried chicken thighs, bacon, fried onions, adobo mayo and a fried egg. Oh and its garnished with a crème egg. It’s absolutely delicious, and pretty much the best special we’ve ever done. This special is available from Wednesday 17th to Monday 22nd April. Every year we do our Easter egg hunt, where we hide chocolate eggs near the restaurant. They each have prizes in including free mains, drinks and sides. The hunt begins on Monday 15th April, where we’ll be giving out clues of the hiding places on Facebook. So get hunting! Bring your chicks in over the Easter period, and we’ll feed em up good and proper when you get yourself a main meal. We’ll throw some lego in to keep them occupied. We’ll also have free face painting for your little chicks AND a colouring competition running over Easter, so theres plenty for them to be getting on with whilst you kick back with your booze and chicken.